Bitmain, the Beijing-based cryptocurrency mining giant, has officially filed an application to go public on the Hong Kong Stock Exchange (HKEX). Published on Wednesday, Bitmain’s long-awaited initial public offering (IPO) prospectus follows various news reports that the mining giant has been mulling a Hong Kong listing for a multi-billion dollar public fundraising. The process has not been without its share of controversy, with major firms denying their role in a pre-IPO funding phase in a development that cast doubt on the company. As the application is still in draft form and pending further listing hearings from the HKEX, it remains unclear how much the firm will be valued at eventually. As shown in the posted application, a number of details remain redacted, including the number of shares that will be offered and the timetable for the public offering. Still, the prospectus gives insight into Bitmain’s financial standing as well as the company’s structure and inner workings. According to the filing, the firm made a total of $2,517,719,000 in revenue in 2017, a major increase from the $277,612,000 in revenue it generated over the course of 2016. As of June 30 this year, Bitmain has made $2,845,467,000 in revenue. Of that revenue, Bitmain grossed profits of $1,212,750,000 last year and $1,030,151,000 for the first half of 2018, up from $151,351,000 over 2016. Before taxes, the numbers were $137,750,000 in 2016, $897,376,000 in 2017 and $907,792,000 for the first half of 2018. CoinDesk previously reported Bitmain’s profits have surged significantly year-on-year, which jumped from $100 million in 2016 to $1.1 billion in 2017 and $1.1 billion in Q1 2018, based on documents obtained by CoinDesk. The prospectus states that, after adjusting for costs and expenses, Bitmain’s net profits were $48.6 million in 2015, $113.5 million in 2016, $952.5 million in 2017 and $952.1 million in Q2 2018. Bitmain also reported an $886.9 million balance of cryptocurrencies denominated in bitcoin, bitcoin cash, ether, litecoin and dash as of June 30 after factoring in a net loss of $102.7 million over the last 6 months, more than 10 times the net losses on previous years of holdings. This accounted for 28 percent of its total assets so far this year, the document stated without breaking down a coin-by-coin allocation. Cryptocurrency holdings were previously valued at $56.3 million and $872.6 million, or 30 percent of assets, by the end of 2016 and 2017, respectively. Bitmain saw a huge boost to its mining hardware sales between 2015 and the first half of this year, according to the filing. In 2015, Bitmain generated roughly $107.8 million in revenue from its ASICs. For the first half of 2018, Bitmain made about $2.6 billion, marking a half-billion increase over 2017’s $2.26 billion. The number of hardware products sold rose in line with their revenue. Bitmain sold 230,000 miners in 2015, 260,000 miners in 2016, 1.62 million miners in 2017 and, as of Q2 2018, 2.56 million miners. For 2017, 27 percent of the funds it received from mining hardware customers came in the form of cryptocurrency. The prospectus also shows Bitmain’s mining products have diversified over the years. For example, in 2015, all of its hardware was geared toward bitcoin but, by the first half of this year, 73.2 percent of its miners could be used to mine either bitcoin or bitcoin cash (this figure dipped below 70 percent for 2017). However, Bitmain wrote that because it anticipated a “strong market growth for cryptocurrency mining hardware” moving into 2018, a large order for new hardware was placed to its production partners only to be met with slowing hardware sales from the cryptocurrency market downturn, leading to an oversupply of inventory in the first half of 2018. Bitmain has been scooping up land in China to build domestic cryptocurrency mining farm sites. The filing claims Bitmain owns two land parcels in inner Mongolia with sizes of 31,045 square meters and 45,345 square meters, a third parcel in Ningxia that is 33,335 square meters large and a fourth in Sichuan of 9,338 square meter footage. In terms of leased areas, Bitmain has rented 15,200 square meters of land across 5 locations and 50 properties totaling 99,700 square meters, the prospectus stated. Bitmain is also planning to launch overseas mining operations, adding it has selected sites in the U.S. states of Washington, Tennessee and Texas, as well as in the Canadian province of Quebec where hydro-power energy is cheap, to mine cryptocurrencies. Construction is said to be underway and the American and Canadian mining farms are expected to open in Q1 2019. Beyond actual mining sites, Bitmain said it maintains additional spaces for business operations internationally, including offices and warehouses, in Hong Kong, the U.S., Canada, Brazil, Georgia, Israel, Kyrgyzstan, Malaysia, the Netherlands, Russia, Singapore and Switzerland. 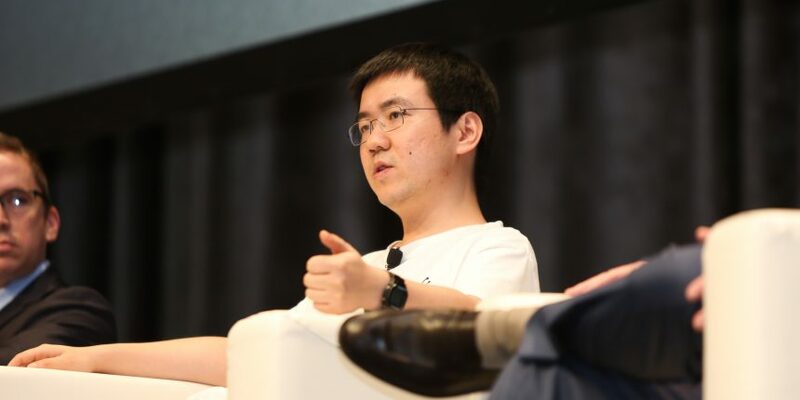 CoinDesk previously reported Bitmain had raised three funding rounds from investors in Asia and the U.S., but the company has closely guarded the investors and numbers involved in those deals until now. In a $50 million Series A investment round that closed on August 8, 2017, Bitmain received $18.75 million from SCC Venture, $12.5 million from Richway Investment, $12.5 million from Sinovation, $4.25 million from Blue Lighthouse, $1.2 million from IDG China and $0.80 million from Beijing Integrated Circuit, a cap table in the prospectus shows. SCC Venture, the largest contributor in the Series A, also led the Series B round, pitching in over $128.95 million in funding. The Series B round closed $292.7 million on June 19 this year. SC GGFIII ($49.98 million), China Taijia ($29.99 million), Blue Lighthouse ($25.99 million), Coatue ($17.49 million), EDBI ($13.99 million), Rising Delight Enterprises ($7.99 million), FreeS Bit SPV Fund ($7.99 million), Richway Investment ($4.99 million), Han Guang Capital ($3.99 million) and FBH Partners ($0.99 million) joined SCC Venture, not long before Bitmain closed its post-Series B round. The post-Series B, pre-IPO funding round collected $422.05 million and ended just last month on August 7. Crimson Partners contributed ($149.09 million), as did Casmain ($43.01 million), CICFH Entertainment Opportunity ($40.01 million), Lioness Capital ($33.01 million), Bluebell Global Holdings ($30 million), Gortane Avatar Investments ($30 million), Palace Investments ($30 million), Jumbo Sheen Amber LP ($30 million), Temasek’s Pavilion Capital ($20 million), Xin BM Investment ($20 million), Newegg Technology ($15 million) and Shanghai Investment Corporation ($12 million). Apart from accounting statistics, Bitmain’s prospectus includes a range of information about the company itself. For example, in the first half of 2018, Bitmain employed 2,594 people. 840 were dedicated to research, 701 to product management, 535 to mining farm maintenance and management, 235 to administration, 209 to customer service and 74 to sales and marketing. Highlighting the companies that worked and advised on the IPO deal, the prospectus also goes on to list China International Capital Corporation, Hong Kong Securities Limited (the offering’s only sponsor) and Commerce and Finance Law Offices on the finance side of the public offering. Maples and Calder in Hong Kong, KPMG, and Frost & Sullivan are providing auditing, legal and consulting services. Acquisitions not publicly disclosed were revealed. Bitmain owns a 3 percent stake in the Opera Internet browser after having invested $50 million in its corporate entity Opera Limited. Global Digital Mercantile Ltd., described as a cryptocurrency financier, received $1 million from Bitmain in exchange for a 5 percent stake in the company. This story is ongoing and will be updated as needed.